Brigid Kelley is a stage and screen actress in Los Angeles. She graduated from Clarke College in Dubuque, IA with a degree in Drama. After graduation, she moved to the Twin Cities to perform with CLIMB Theatre. She has since gone on to perform over 20 shows in the metro, including productions with Balance Theatre Project, Sandbox Theatre, Theatre Unbound, Theatre in the Round, and Theatre Pro Rata. Since moving to Los Angeles, she has performed with several Improv groups, thanks to the training at UCB. She has an all female sketch group she created, Glamazon. She studies with the team at Warner Loughlin Studios. She is theatrically and commercially represented by Rascals Talent Agency. 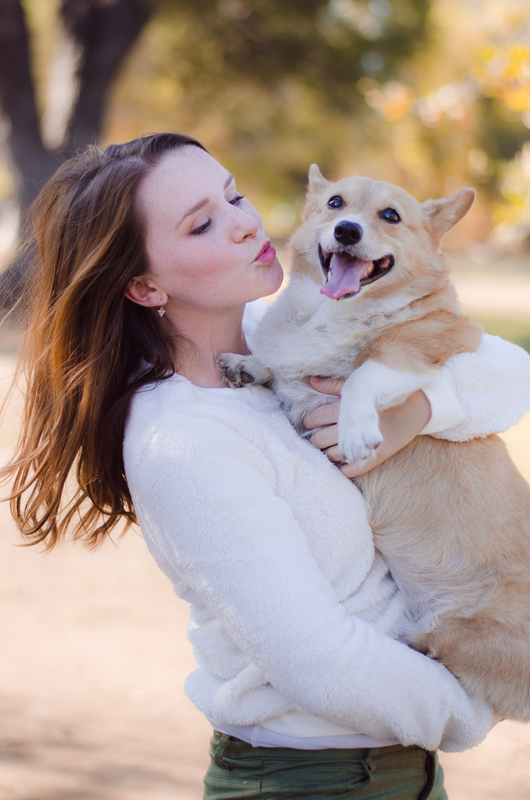 Brigid enjoys working out, volleyball, watching movies, seeing plays, wrestling with her Corgi, B.B.,snuggling with her chihuahua GoGo – both named after Kill Bill characters, and having Star Wars or Lord of the Rings trilogy debates with her husband, Aric. Her podcast, “Talking Trek,” is available on iTunes, and her cartoon she voice acted, and wrote for, Robits is premiering at the New York Television Festival. More to come!